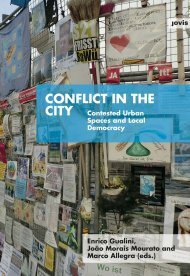 and the conference ‘Conflicts in the City: Reflections on Urban Unrest’ held in Valencia on April 2-4, 2014. 2015; Gualini, Morais Mourato and Allegra 2015; Romero Renau 2015). Towards a critical consensus politics? the political is suppressed preventing citizens from questioning and challenging planning orthodoxy. of how planning processes interact with moments of conflict and consensus and the spaces ‘in between’. work towards engendering a more immanent evaluation of always situated conflict dynamics? either innovative social practices or new policing and disciplining orders? of carefully curated conflict? Or is that too cynical an approach? further research on this line of inquiry? be developed in order to pursue them? as a contested domain across space and time. democratic turn. Environmental Politics, 22(1), 16-36. Bylund, J. (2012). Postpolitical correctness? Planning Theory 11(3), 319–327. Gualini, E. (2015). 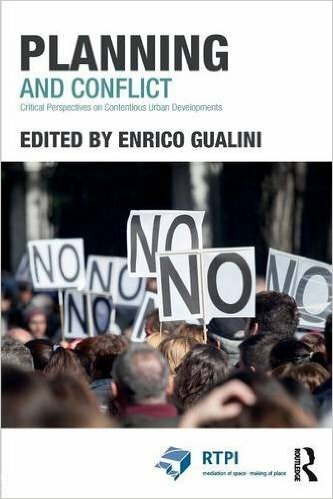 ‘Planning and Conflict: Critical Perspectives on Contentious Urban Developments’. a new democratic ethos, Planning Theory, 1-21. Legacy, C. (2015). Transforming transport planning in the postpolitical era, Urban Studies, 1-17.
flights at Brussels airport. Environment and Planning A, 42 (1577-1594). Purcell, M. (2013). ‘The down-deep delight of democracy’. West Sussex: John Wiley & Sons. in turning conflict into a transformative resource for local policy. about the potential productive and innovative contribution of agonistic practices in view of a democratization of planning. The AESOP Planning/Conflict thematic group is open to participants’ proposals for joint initiatives: Please do not hesitate to advance proposals! Would you like to contribute and/or to keep informed?